Expansion and new development across Britain’s ports and harbours is generating some promising construction opportunities. If anything, Brexit is encouraging the country’s port owners to invest in new capacity on the basis that demand for storage and goods handling facilities could increase as and when the country leaves the EU. The Port of Felixstowe, for example, has recently agreed with a Danish ferry operator to increase roll-on/roll-off capacity at its Suffolk site by over 40%. This is partly in response to interest from shippers keen to ensure that Brexit doesn’t disrupt their supply chains. Civils contractor George O’Brien and Sons started construction work last month on a scheme involving the demolition a shed at the port and the reconfiguration of the site for trailers for roll-on/roll-off freight (Glenigan Project ID: 18179214). The pipeline is also expanding on some major logistics schemes being built across the estate of Associated British Ports (ABP), the country’s largest port operator. At the Port of Southampton, detailed plans have been granted for a £22 million warehouse & distribution project at the city’s Western Docks involving around 18,500 sq m of space and associated infrastructure. Tenders for the project, where construction work is expected to start this autumn and last nine months, are expected to be invited in mid-May (Glenigan Project ID: 19041759). Meanwhile, construction work started towards the end of last year on new £12.9 million multi-deck vehicle storage facilities at the Port of Southampton’s Eastern Docks, where work is continuing until next July (Glenigan Project ID: 17190674). On the country’s East coast, tenders have recently been returned on a new £36 million container terminal expansion at ABP’s Immingham Dock, where construction work is set to start this summer and continue for 16 months. Further down the River Humber at nearby Grimsby, tenders have recently been returned on a new £20 million car park for ABP, with work set to start this July and continue for nine months (Glenigan Project ID: 16068019). ABP is also involved in some potentially huge construction projects as it seeks to develop land around its ports to attract manufacturing and distribution businesses. 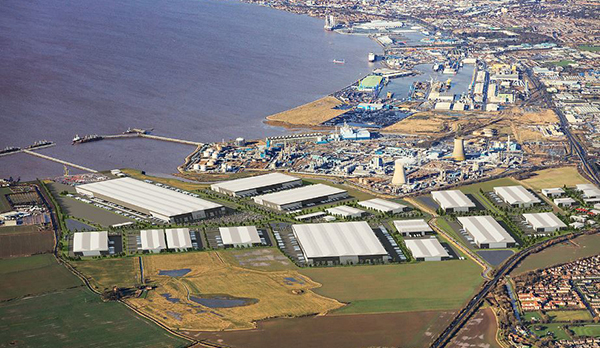 A hybrid planning application has been submitted for the £200 million Humber International Enterprise Park Site 1, close to the Port of Hull, where some 800,000 sq m of new space is envisaged. Construction work on the scheme is set to start in autumn this year (Glenigan Project ID: 18251359). Meanwhile, construction work is set to start later this year on a new £10 million road linked to the new enterprise park (Glenigan Project ID: 19000027). Other port owners and authorities are also embarking on some major redevelopments. Construction work is set to get underway this month on new berthing facilities and storage space for cargo at the Port of Tilbury London on a £110 million project on the site of a former power station. Graham Construction is the civil contractor on the project, which is set to continue for 16 months (Glenigan Project ID: 17077575).